For engraving, order in the next 8 hours 39 minutes for delivery on Monday, April 29. Order in the next 9 hours 38 minutes for delivery on Friday, May 10. For engraving, order in the next 8 hours 39 minutes for delivery on Friday, May 10. 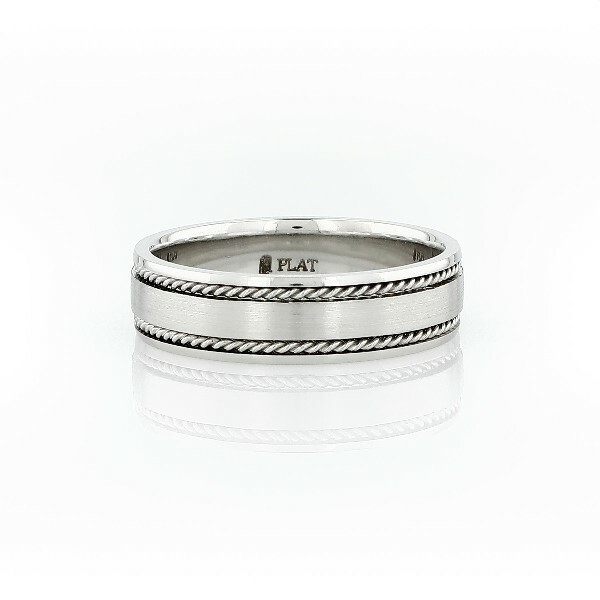 Solidify your love with this symbolic platinum wedding ring, showcasing an inset of hand-made twists and a comfort fit base.